A spokesman with the fire department told the El Paso Times that the arena Mr. Trump spoke at was filled to capacity at 6,500 people. Thousands more watched the rally outside, with a possible total attendance of 10,000, the spokesman said, noting that the department did not officially estimate the crowd outside. Estimates for Mr. O’Rourke’s crowd have been far higher than 200 or 300, ranging from 7,000 to 15,000. Several Democrats have introduced proposals to increase taxes, but unless the 6,500 people in the room were all among the wealthiest Americans, they would not be affected by these proposed tax hikes. Representative Alexandria Ocasio Cortez of New York, suggested a top marginal tax rate of 60 or 70 percent incomes over $10 million. Senator Elizabeth Warren of Massachusetts, who is running for president, has proposed a wealth tax of 2 percent on people with a net worth above $50 million and 3 percent over $1 billion. And Senator Bernie Sanders of Vermont proposed an a top estate tax rate of 77 percent on inheritances over $1 billion. For context, households in the top 5 percent earned an average income of $385,289 in 2017, according to the Census Bureau. 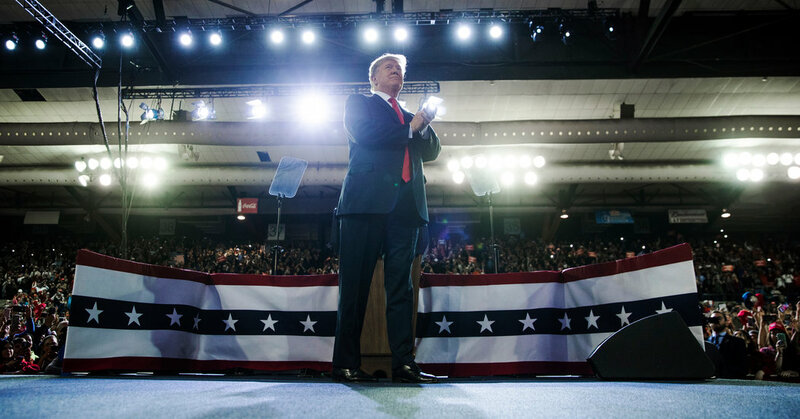 Mr. Trump was referring to the Green New Deal, a proposal to combat climate change released by Ms. Ocasio-Cortez and Senator Edward J. Markey of Massachusetts. Though the Green New Deal would significantly alter the transportation and agriculture sectors, it does not call for the elimination of cars, airplanes or cows.